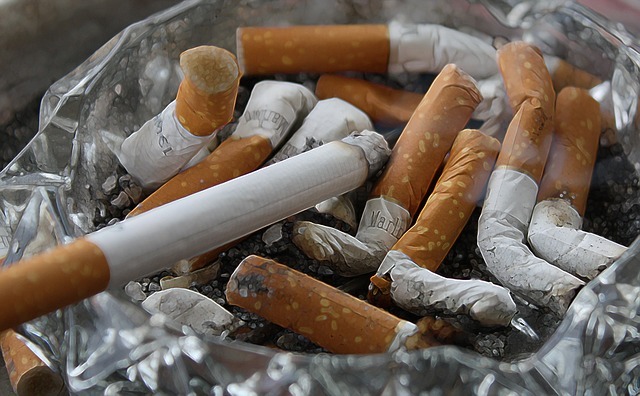 SERIAL QUITTERS - DO YOU BELIEVE YOU CAN STOP SMOKING? IT’S TIME TO BELIEVE YOU CAN! Program Starts Monday April 15, 2019! Webinar-based program - Participate from the comfort of your own home! Early Bird rate only $97 until April 10 - then the regular price of $147 applies! Multiple times you’ve tried to quit, failed and felt hopeless. It’s a real struggle to get motivated to try again in spite of the relentless internal pressure to quit. You’ve been smoking forever, it’s part of who you are. The grim reaper whispers into your ear ghastly health issues - cancer, a stroke, a heart attack - yours if you don’t soon break up with your cigarettes. You feel controlled by your habit. Constantly you’re pulled from relationships to duck out to your segregated, isolated smoking area. You spend too much money on an addiction you don’t even enjoy anymore. You belong to a social outcast crowd in a predominantly non-smoking world where smokers are looked down upon. You’re embarrassed, perhaps hiding your nasty habit from some. It’s no wonder you’re feeling overwhelmed - and more so when you’ve tried everything that’s out there and nothing’s worked. It’s no way way to live. You deserve a liberated, healthy and easier life where you’re no longer an outcast. The thing is - there is nothing fundamentally lacking in you - you CAN do it. You weren’t born needing cigarettes. You lived the first part of your life happily and healthily without ever thinking about cigarettes. You can return to your natural state. But how will you finally achieve success, what can make all the difference? A solid, comprehensive program that includes individualized preparation, a good technique reinforced by additional tools can make all the difference. Most methods of smoking cessation involve a single “magic bullet” approach where you are simply administered a solution (eg. “the patch”, medication, acupuncture, hypnosis etc) which is supposed to like magic enable you to cease smoking almost effortlessly. Or you try to tough it out using the "cold turkey” approach. While these approaches can work for some people some of the time ALL of these methods fail to help many people. This is because giving up an addictive habit is generally not a simple issue that lends itself to one-dimensional solutions. As a psychotherapist and hynotherapist, with many years of experience helping smokers succeed, I’ve developed a powerful three-session hypno-coaching approach formulated on practical, sound psychological principles and practical tools. The program involves hypnosis augmented with instructional and coaching support. This three session program helps people stop smoking efficiently and effectively - even those who’ve tried and failed to quit multiple times. This program is not only manageable but is designed to make the process as painless as possible. Most people try to stop many times before actually stopping - or they just give up trying to stop because they always fail. The most important factors in stopping smoking are mindset and READINESS. All methods will fail without readiness. Only when someone gets to the complete readiness stage and commits to “stop no matter what” can they succeed. Many people “want to” want to stop smoking. In other words they would like to stop smoking if it is easy or if someone waves a magic wand and they suddenly have no desire to smoke again. But at the same time they don’t really “want to” stop smoking because they depend on it to help manage issues like boredom, loneliness, stress or even weight management. Or they may feel that having a cigarette is that “one thing that is just for me” that they would dearly miss or feel deprived of if they stopped smoking. These are the issues that indicate that you need to do some preparatory work before you actually stop smoking. You need to figure out ways to meet those legitimate needs that you think smoking fills for you - but in even better ways. It’s essential to develop a readiness mindset and a good strategy, including a good plan and extra tools to help you manage the inevitable challenges that you will encounter along the way. Once you have a good readiness mindset and when the day arrives for you to actually stop smoking you’ll need a good method in place and specific support to help you minimize and manage the physical and psychological challenges that come with the total elimination of cigarettes. In this program the specific method we use is hypnosis. 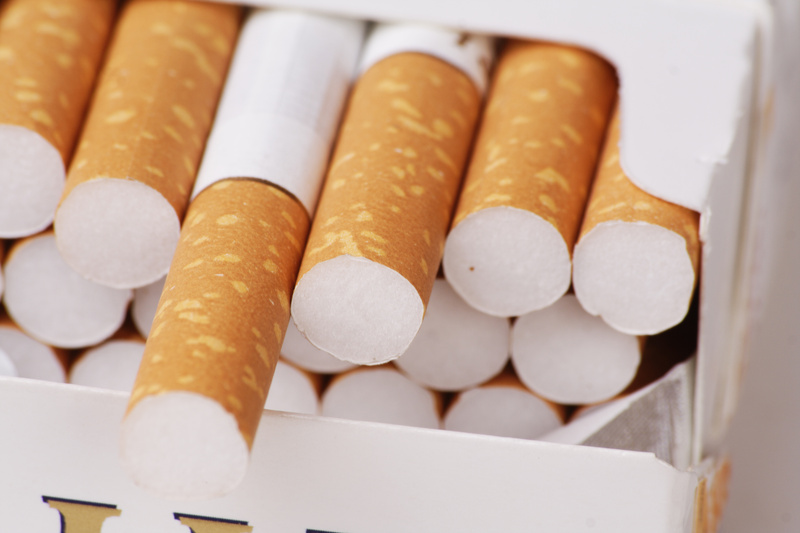 Hypnosis has a long track record of being an effective method of helping people to stop smoking with the least effort. It is also a completely natural approach that relies on your own intrinsic body/mind resources to help you. There are no medications or chemicals to take that may have unwanted side effects or where the effectiveness only lasts as long as you use the substance. And yes, you can utilize hypnosis effectively on-line (it is similar to utilizing hypnosis recordings you can buy on-line). Hypnosis is not offered here as a stand-alone “magic bullet” but is reinforced with lots of additional support and “coaching”. Now imagine your life as a non-smoker. You breath easier with clean lungs, no more smokers cough. You feel more connected to everyone, no more isolation. That chapter in your life with a smoker’s identity is closed. No more “contraband” - you can spend that money on better stuff. At long last you feel more confident, capable, healthy and normal. Strain is replaced with a sense of ease. It would be my privilege to assist you in this journey! •	LIVE, INTERACTIVE SESSIONS: The webinar sessions are conducted live and are interactive. You can ask questions or make comments or watch/listen to other people doing so. This allows for more effective instruction and “coaching” by working through peoples specific issues and challenges. The sessions are also recorded for later viewing in case you miss the live broadcast. •	POWERFUL STOP SMOKING TOOL: We utilize the safe, effective and powerful method of hypnosis to help you stop smoking. Hypnosis has a great reputation as one fo the most effective stop smoking methods there is. 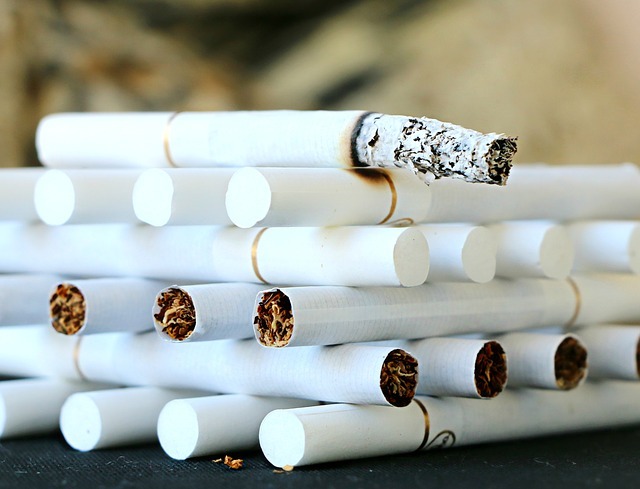 •	COACHING: Each of the three sessions focuses on a specific aspect of the stop smoking process and helps you with each particular phase - again through live coaching. •	REINFORCEMENT AND FOLLOW-UP SUPPORT: The third session focuses entirely on providing follow-up support and reinforcement after you have actually stopped smoking. This is where most stop smoking methods fall short. Usually nobody follows up with you to make sure things are going OK, to provided encouragement and to problem solve any issues or challenges that may arise. •	ONE YEAR ACCESS TO RESOURCES: The sessions are recorded so that you have access to them for one year. You can access the recordings over and over again at any time whether during the initial preparatory and stopping smoking phases - or if you want to access them again in the future because you are going through a challenging moment and need to “reset” your resolve to stay a non-smoker. •	SUPPORT GROUP: You will be stopping smoking at the same time as a whole group of people so that you don’t feel so alone. Often when people stop smoking they are doing it on their own and feel like they are the only one struggling with the process. Just knowing that a group of fellow smokers dedicated to becoming non-smokers are going through the same process with you can feel very supportive. While NO stop smoking method can absolutely guarantee that you will be able to stop smoking - if this approach resonates with you and makes sense to you - then all of the methodology, tools and support you’ll receive can make quitting totally doable for you. It may offer the missing links you need to finally achieve success. You have nothing to lose as you have a money-back guarantee. Try the first session and if you do not think this is the right approach for you, then you will receive a full refund - no questions asked! This program is only available right now. It closes on ______. This offer may not come your way again. You can take a no-risk chance to see if this program can finally liberate you from your addiction or you can pass it by and continue to live each day as you have - feeling like an outcast and overwhelmed with the never-ending burdens of this addiction. You can listen to the clock on your health tick downwards to whenever that day may arrive when you get the “diagnosis”. Session 1 (date) - Preparation day - understanding your smoking habit; identifying your trigger points; identifying your reasons for smoking; clarifying your reasons for quitting; importance of stress management; developing your plan and strategy for managing the post-quitting period; additional tools to help manage cravings and challenging moments; building excitement and motivation to stop smoking; more tips and strategies to help you; Hypnosis session to build motivation and commitment to stop smoking on designated date. Session 2 (date) - Stop smoking day - consolidate your motivation, clarifying questions and concerns, reinforcement of reasons for stopping; review/reinforce personal strategy and plan; new tools for managing cravings and difficult moments; self hypnosis techniques; Hypnosis session to stop smoking NOW. Session 3 (date) - Follow-up day - feedback, success stories, trouble shooting and support for anyone who is struggling; reinforcement of tools and strategies; planning for future vulnerabilities for re-lapse; plan/strategy for moving forward; final hypnosis session to reinforce commitment and resolve to remain a non-smoker. •	Money back guarantee. Try the first session and if for any reason you don’t feel that this is the right program for you, your payment will be refunded with no questions. Take back control of your life - you CAN do this! You have the power to stop smoking within you - you just need the right tools and support to make it work! Within three short sessions - with maximum support and minimum pain you could be a non-smoker! You have nothing to lose and so much to gain - don’t miss out on this opportunity to make a positive and needed change your life!